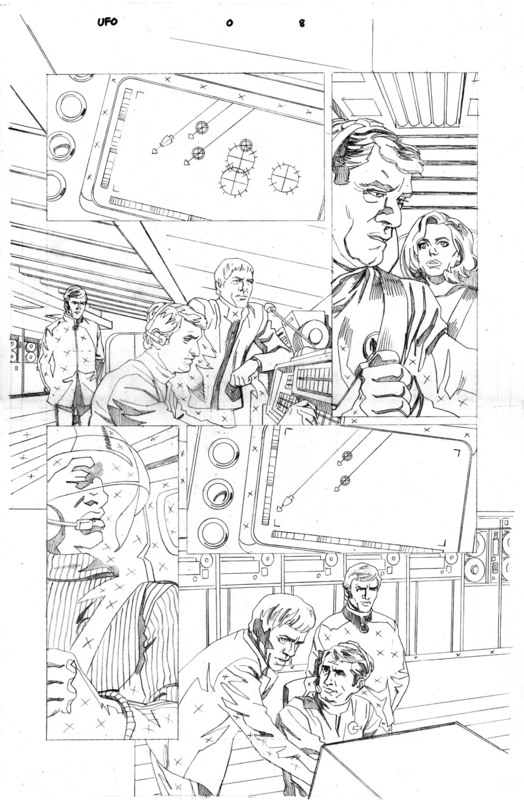 Here’s part three in a series collecting the art from an unpublished comic based on Gerry Anderson’s UFO. 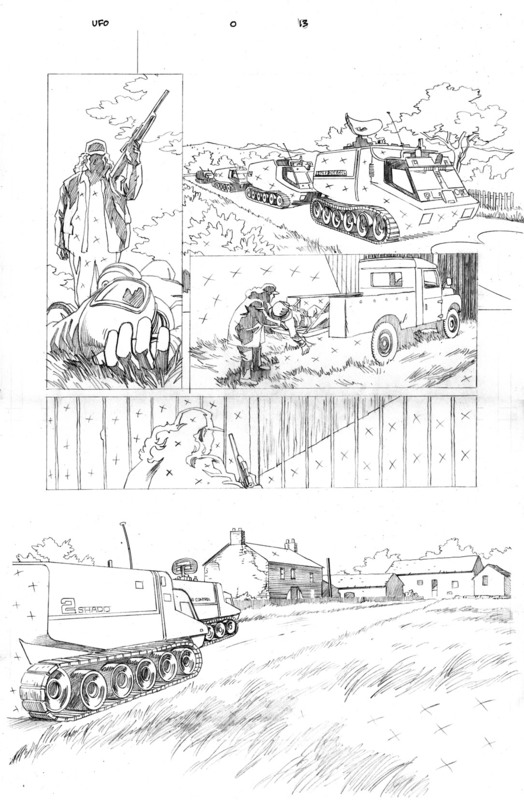 You can read up on the back story of this project in part one. 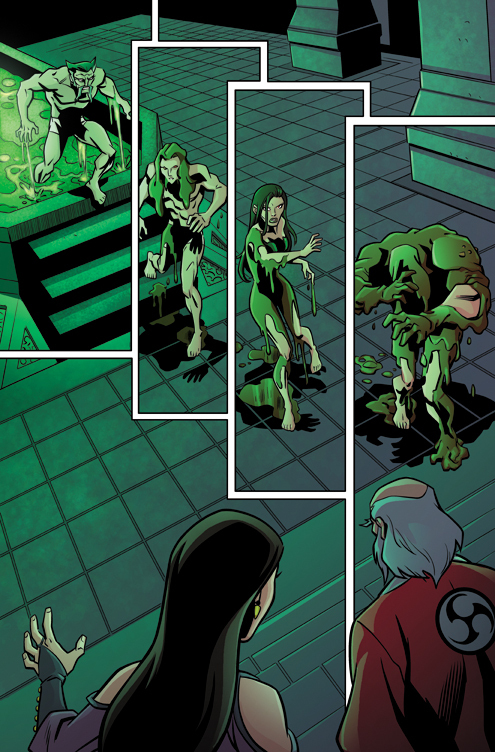 Below you can pages 16-23 of the #0 issue, comparing the pencil art by myself, the inks by Joseph Rubenstein, and the colors by Matt Webb. 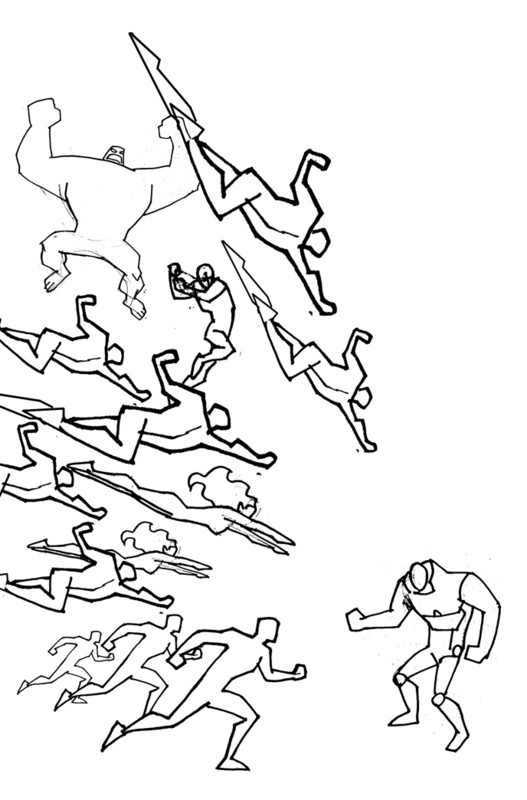 Obviously the lettering is not in place. 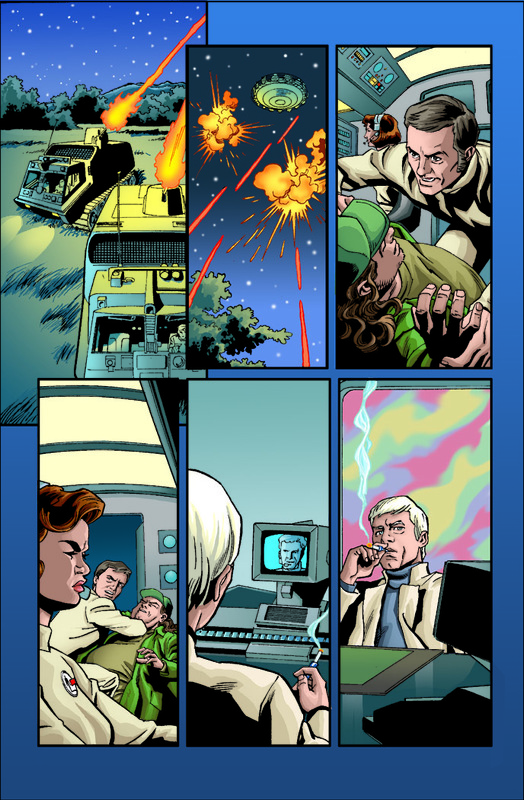 Page 16 – Foster and a SHADO Mobile have some trouble from a local hunter AND an alien UFO that was hidden in a lake. 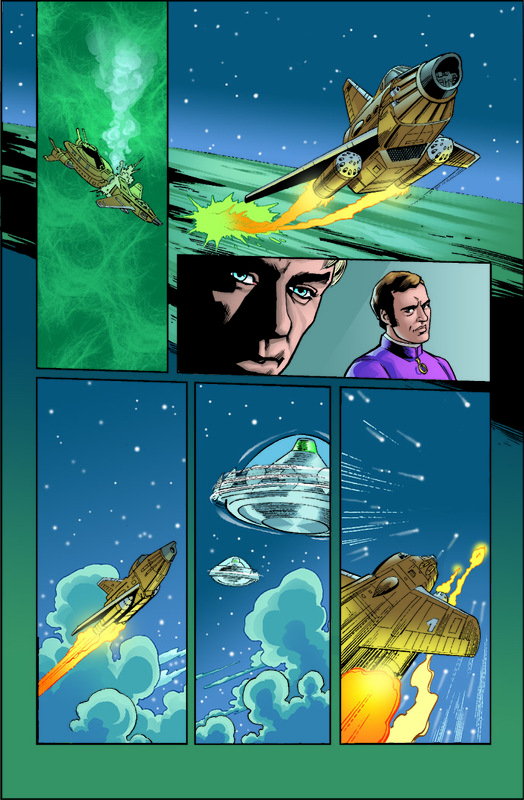 Page 17 – The SHADO Mobile takes off in pursuit of the UFO, which is headed towards London. 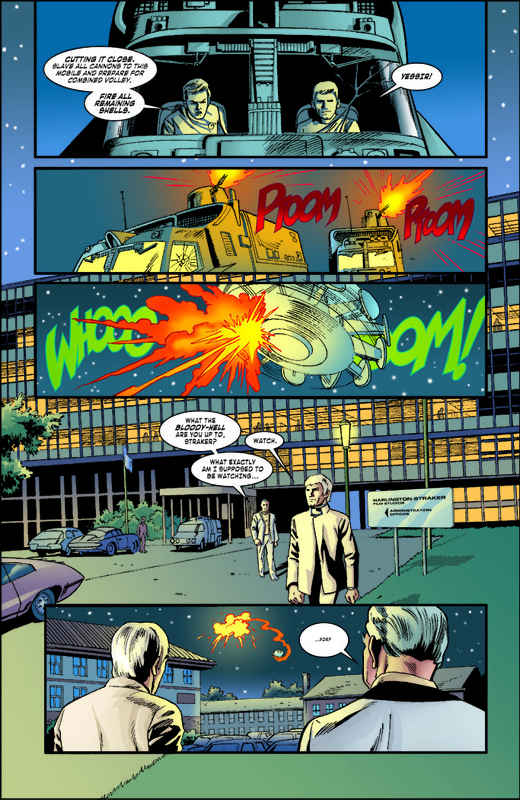 Page 18 – The SHADO Mobiles pursue the UFO down the M4 highway towards London. 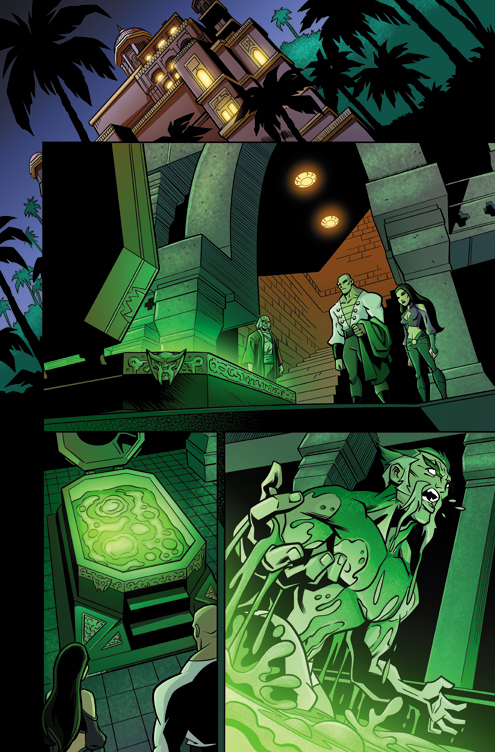 So much for SHADO operating in secret! 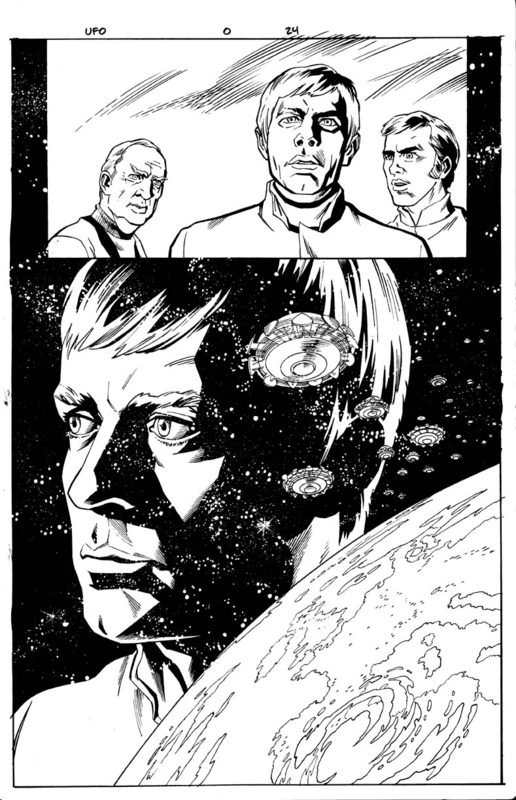 Meanwhile, General Henderson takes issue with Commander Straker. 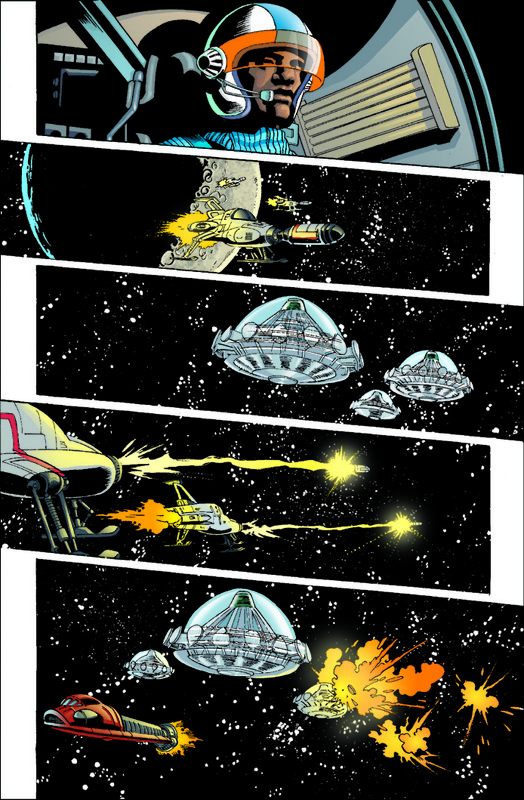 Page 19 – The Mobiles finally get a bead on the last UFO, just as Straker and Henderson run outside in time to see it falling from the sky. 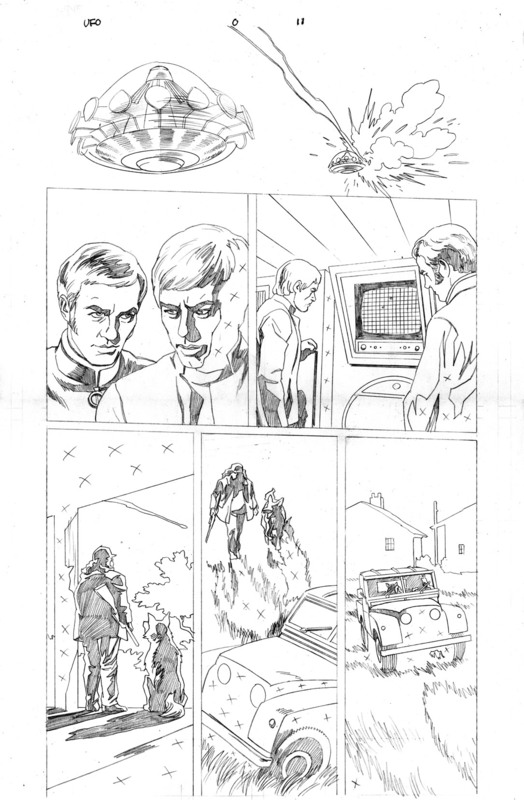 Page 20-21 – A double page spread showing the damaged UFO crashing to the ground and skidding across the parking lot of Harlington-Straker Studios (the ground-level cover for the underground SHADO HQ) before coming to a stop at the feet of Straker and Henderson. 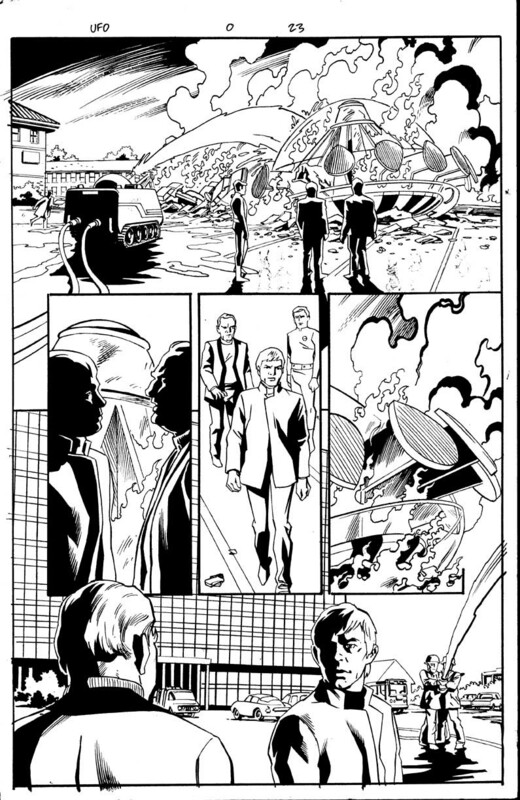 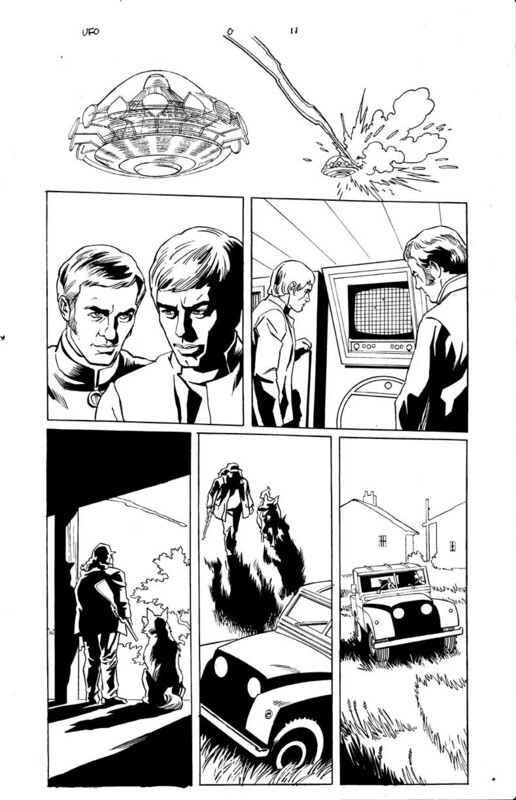 Page 22 – Foster arrives just in time to watch Straker and Henderson argue in the aftermath of the UFO crash. 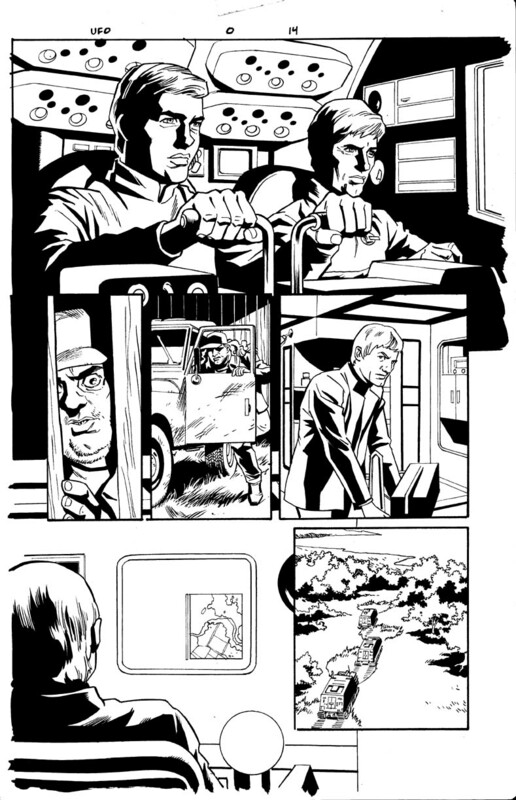 Page 23 – More talking. 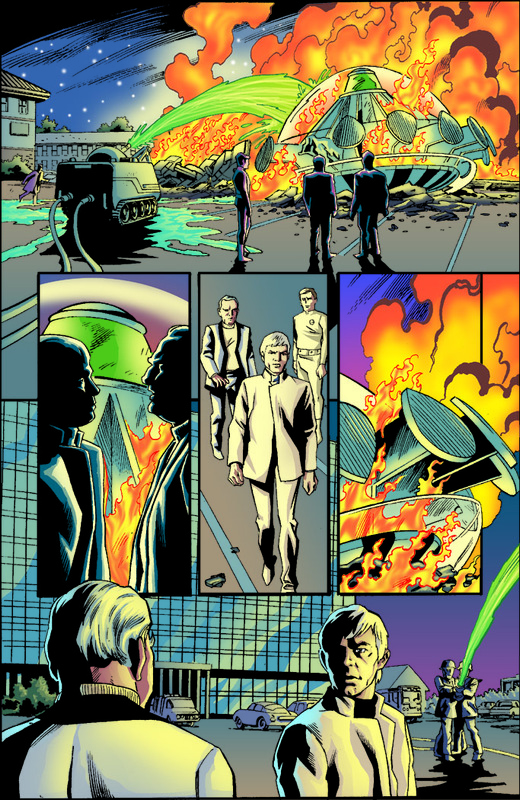 More burning. 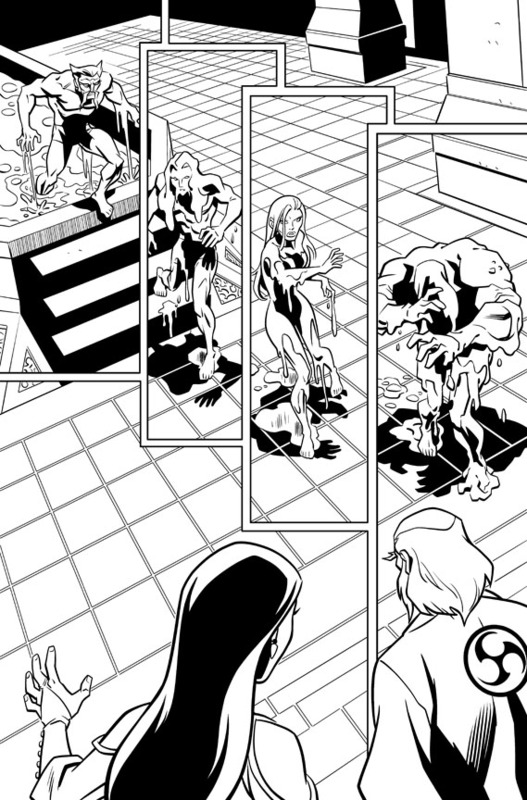 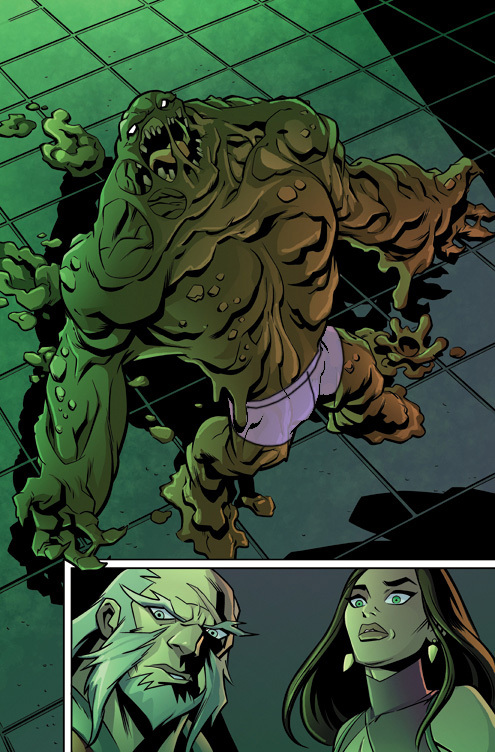 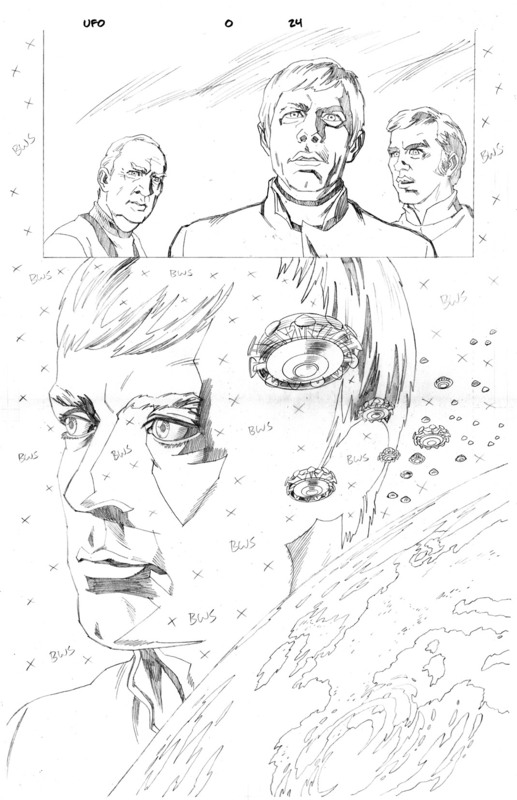 Page 24 – Straker worries about the future as the #0 issue comes to a close. 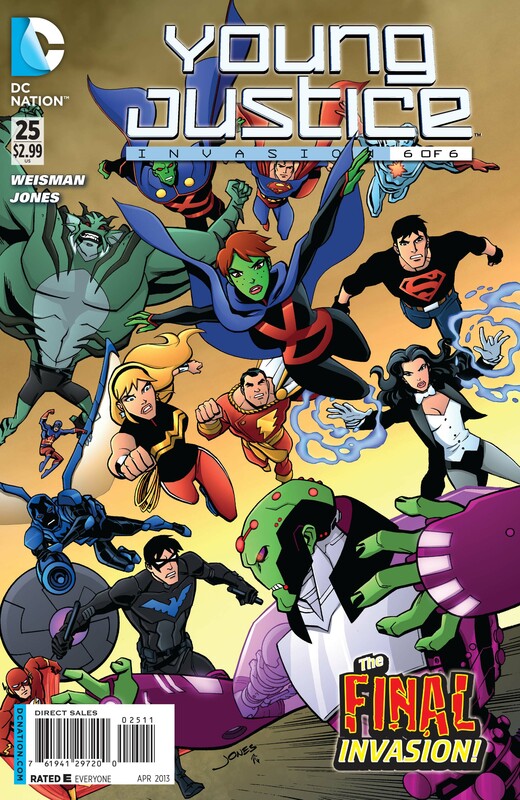 This concludes the issue that was intended as a big “Series Finale” in comic book form, and was to have been followed by a 6-issue mini-series that would have been a sequel to UFO, picking up several years after the time of the TV series. 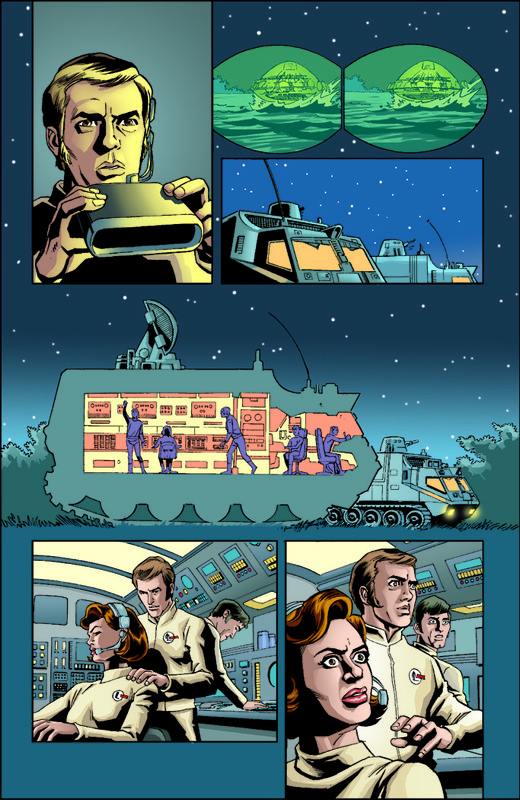 You can read Part 1 with the project backstory and the first five pages here. 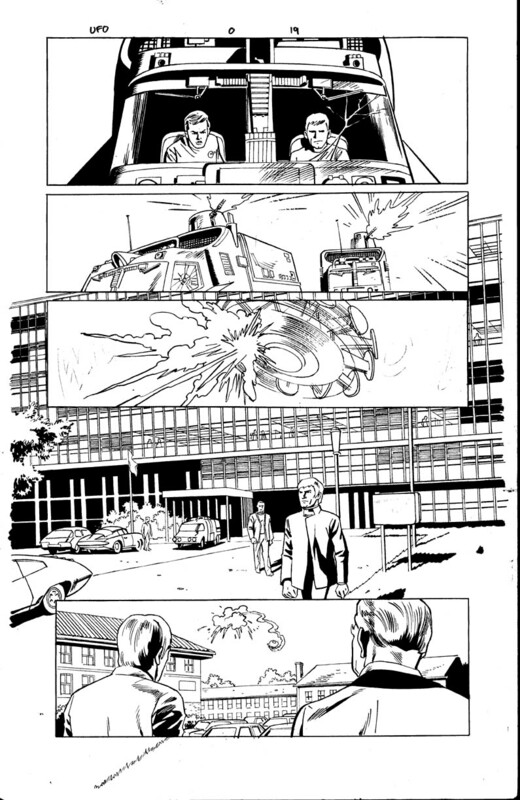 Part 2 featuring pages 6-15 of issue #0 is here. 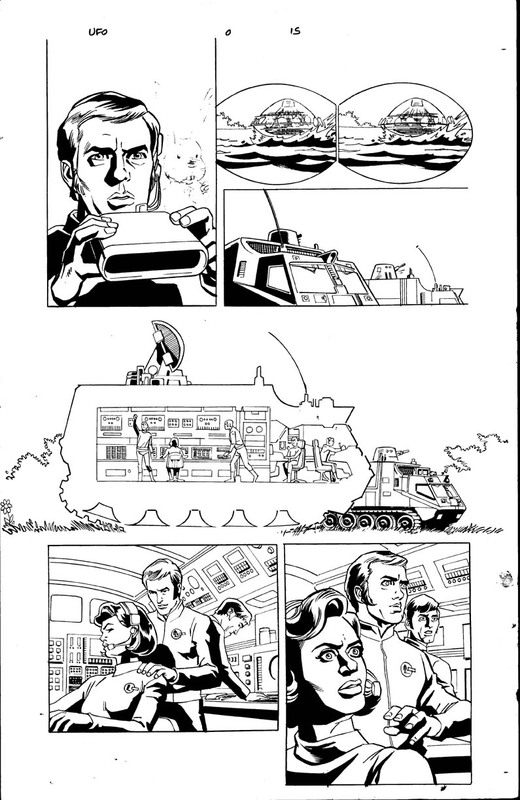 Here’s part two in a series collecting the art from an unpublished comic based on Gerry Anderson’s UFO. 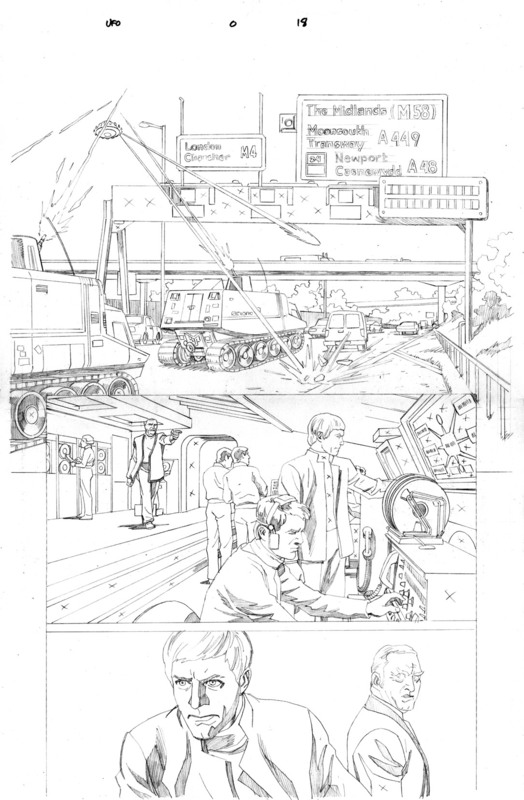 You can read up on the back story of this project in part one. 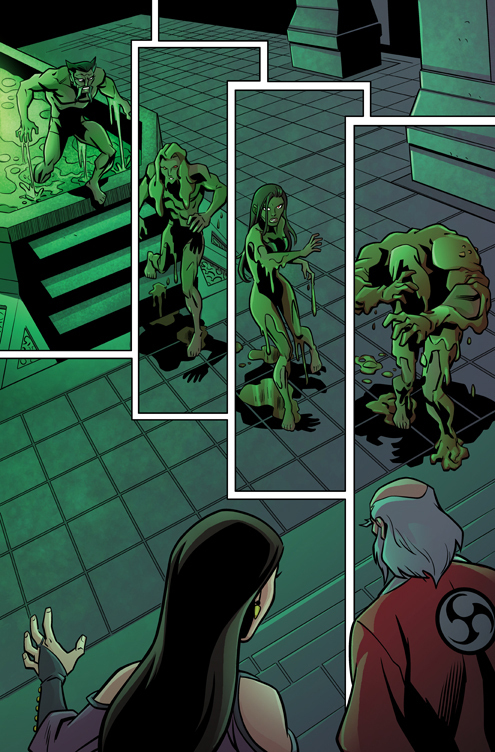 Below you can see pages 6-15 of the #0 issue, comparing the pencil art by myself, the inks by Joseph Rubenstein, and the colors by Matt Webb. 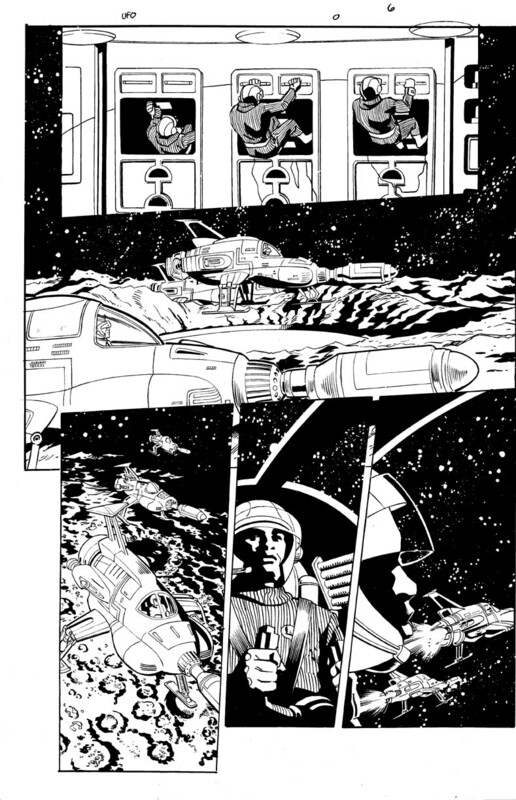 Obviously the lettering is not in place. 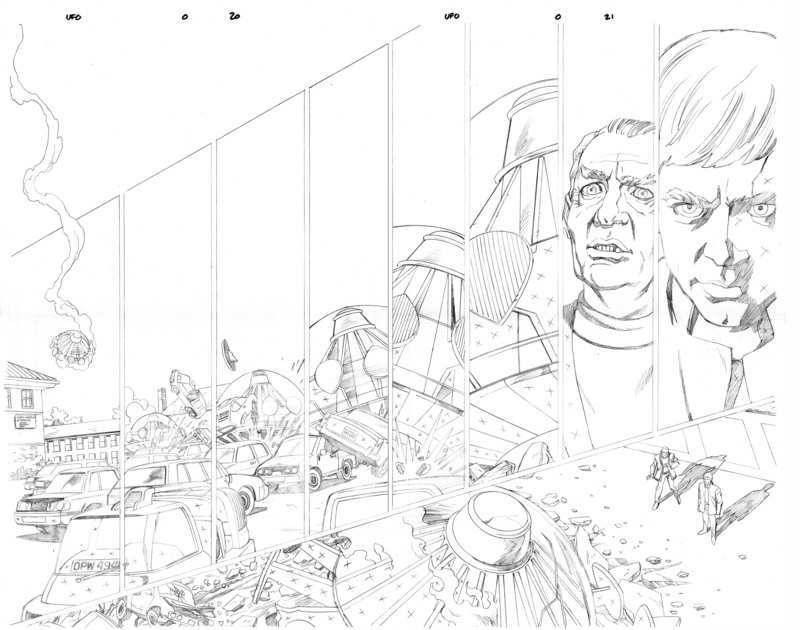 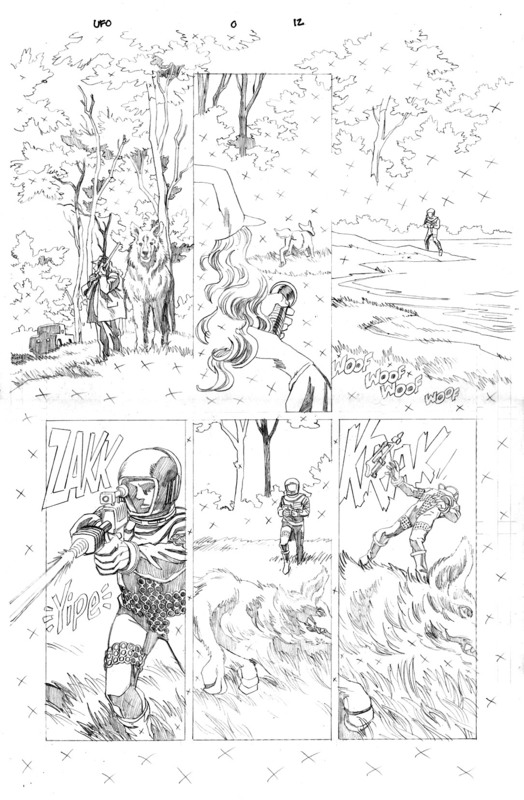 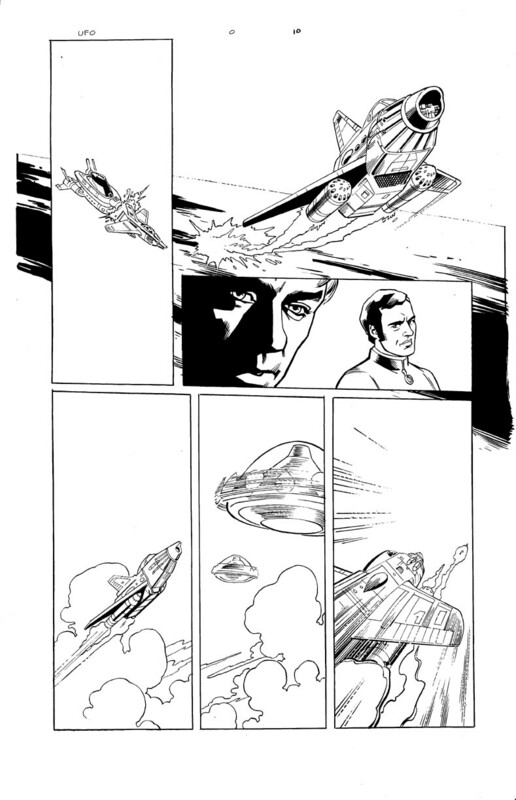 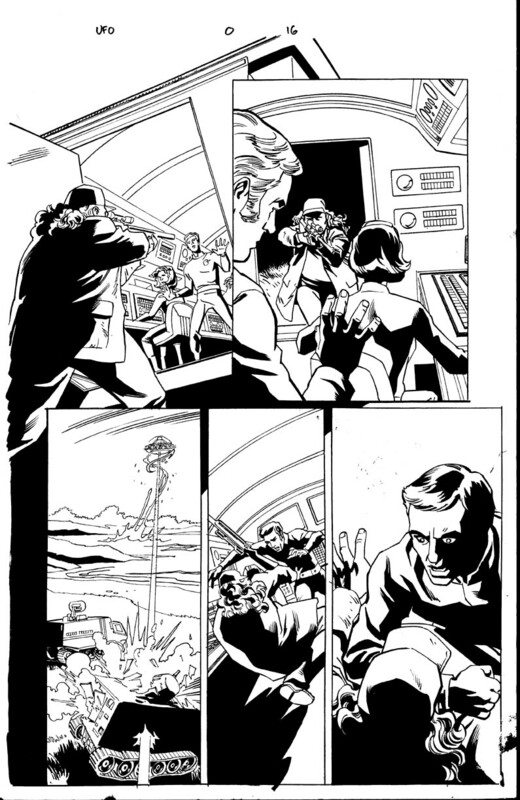 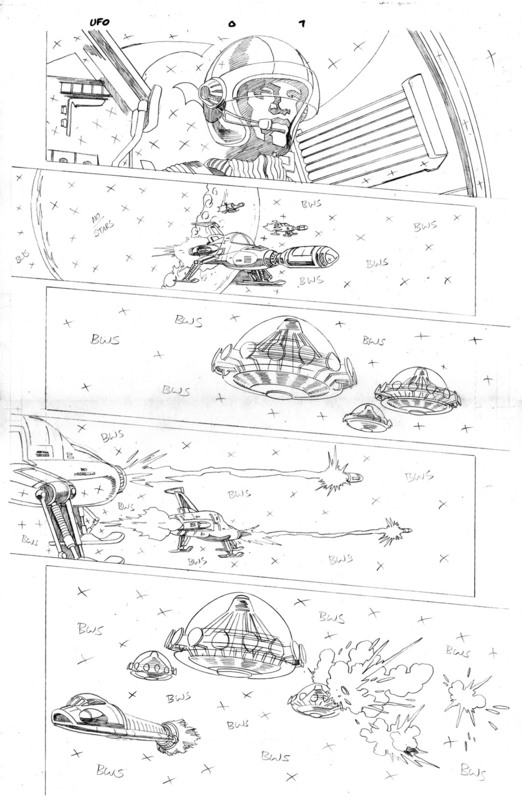 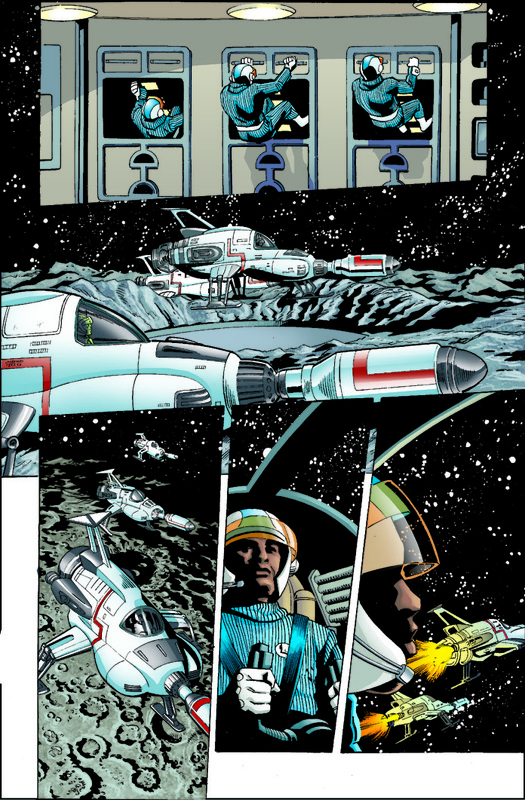 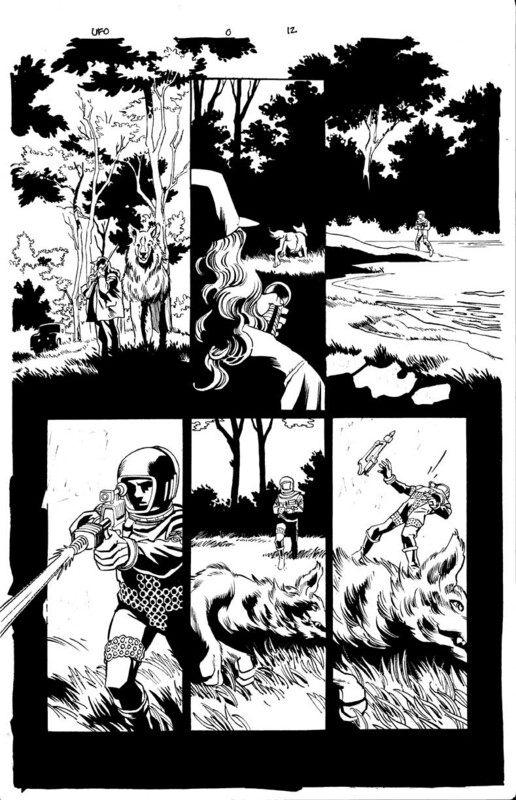 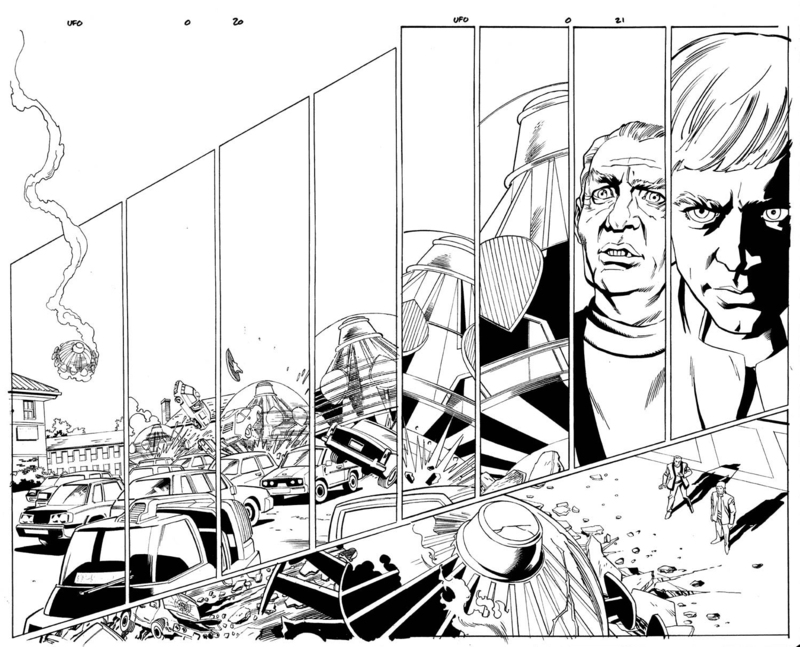 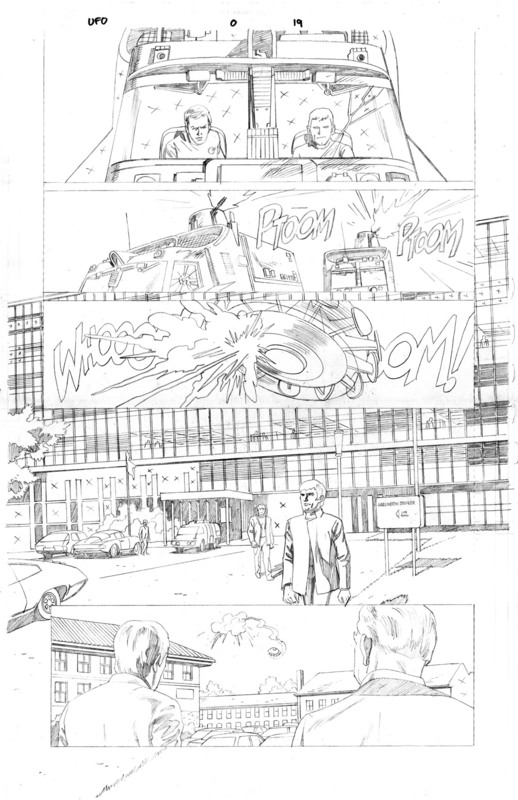 Page 6 – One of my favorite pages from the comic – the iconic Interceptor take-off sequence, as seen in almost every episode of the TV show. 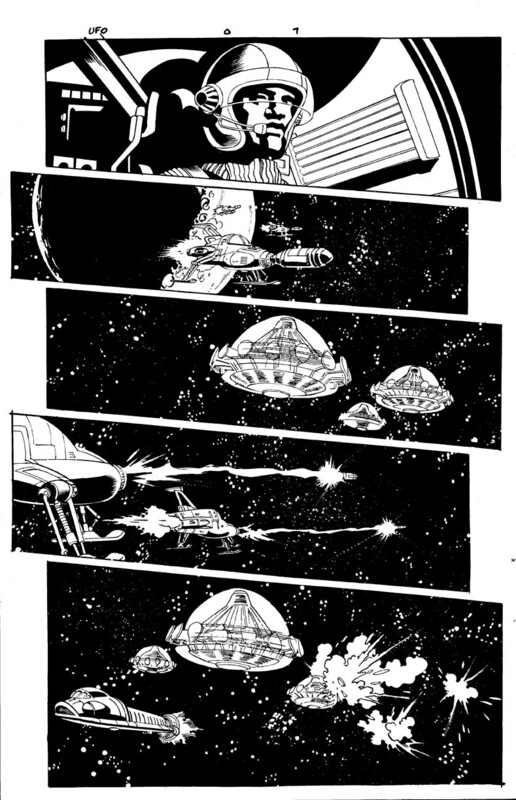 Page 7 – Another iconic scene – missile-firing Interceptors doing battle with incoming alien UFOs. 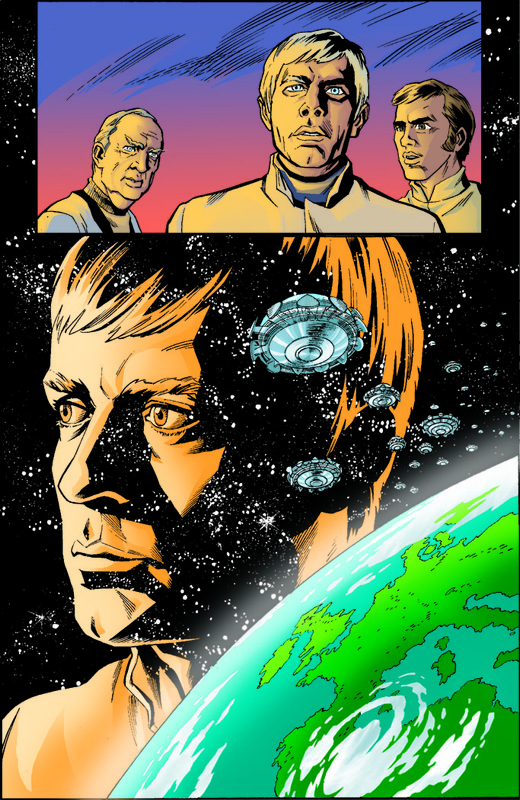 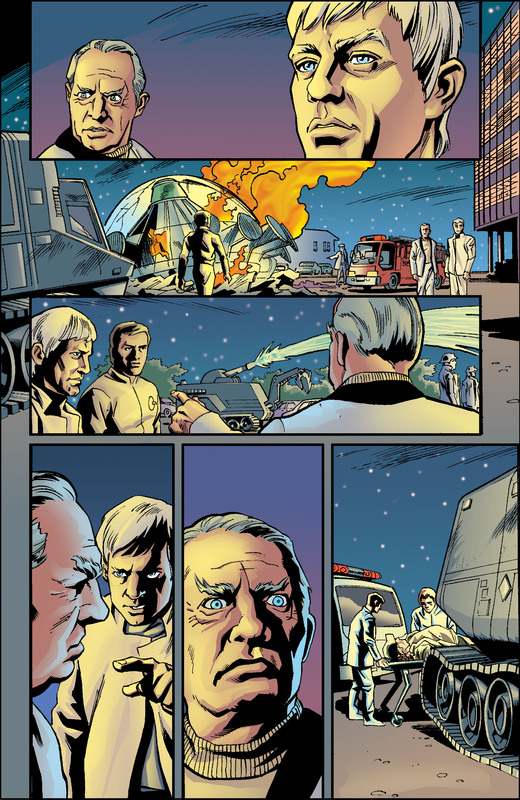 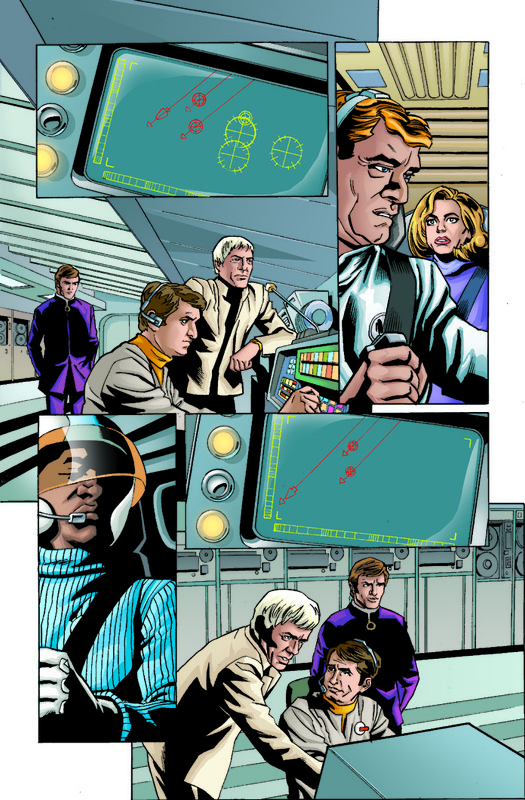 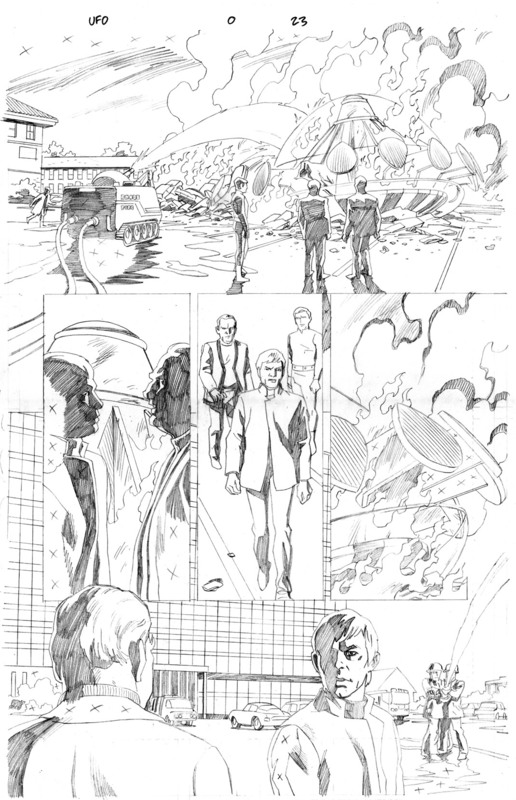 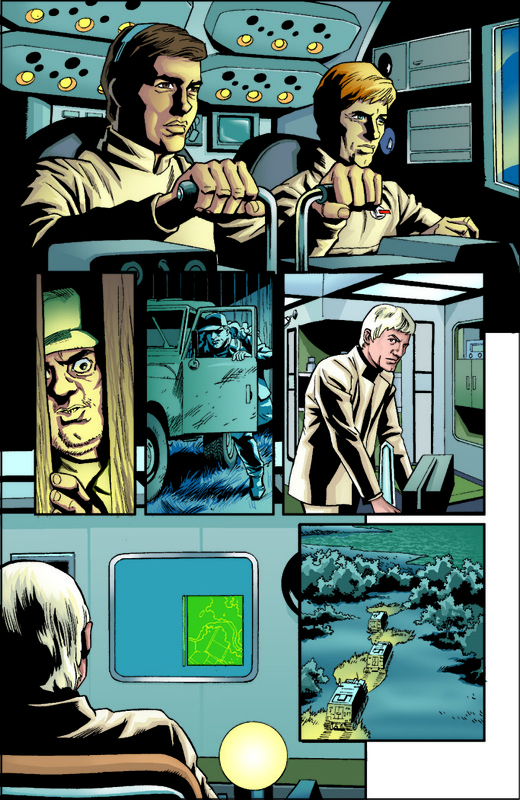 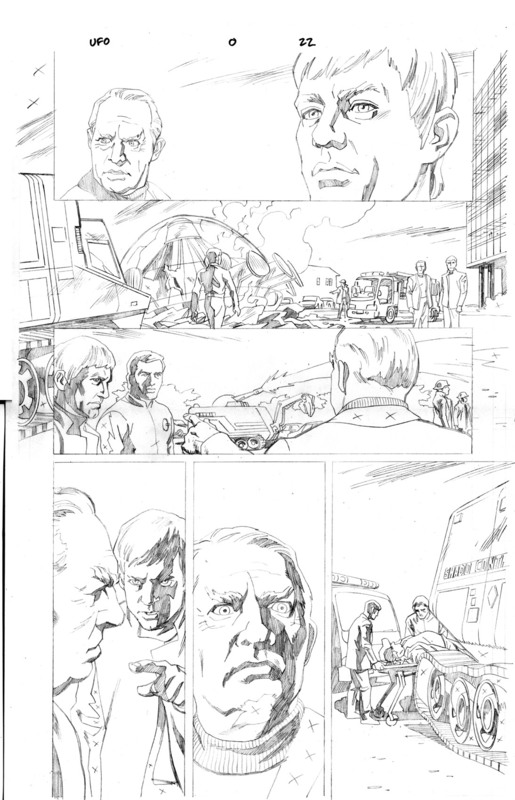 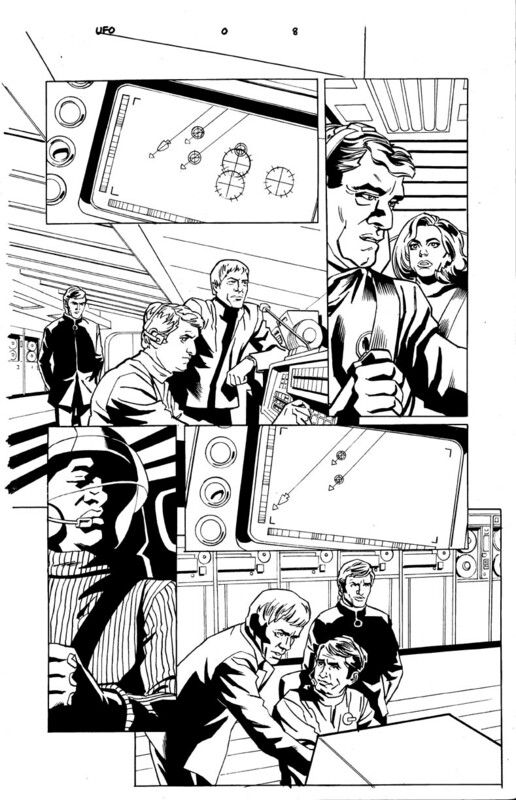 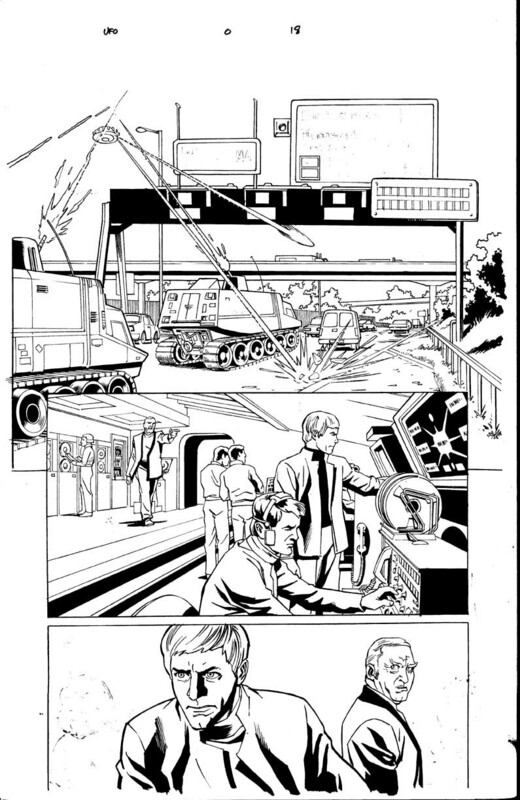 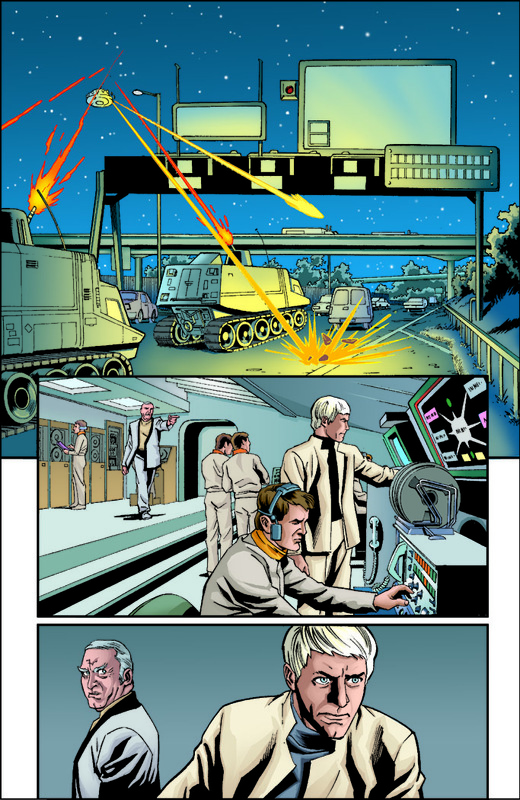 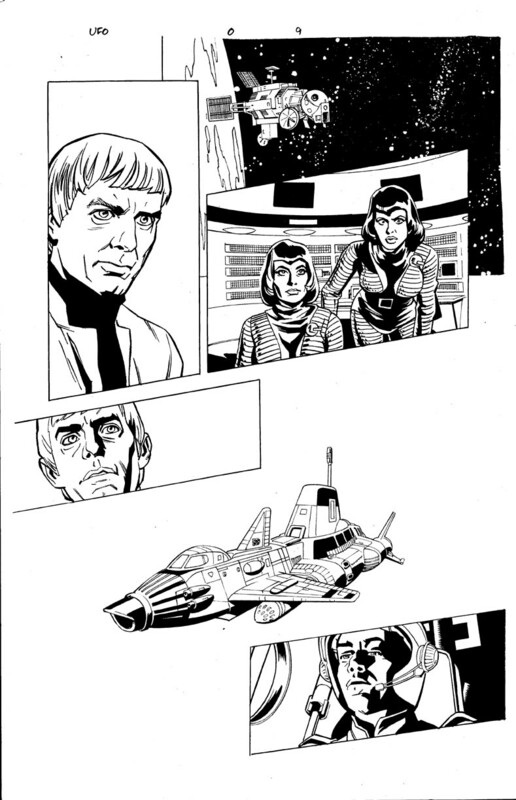 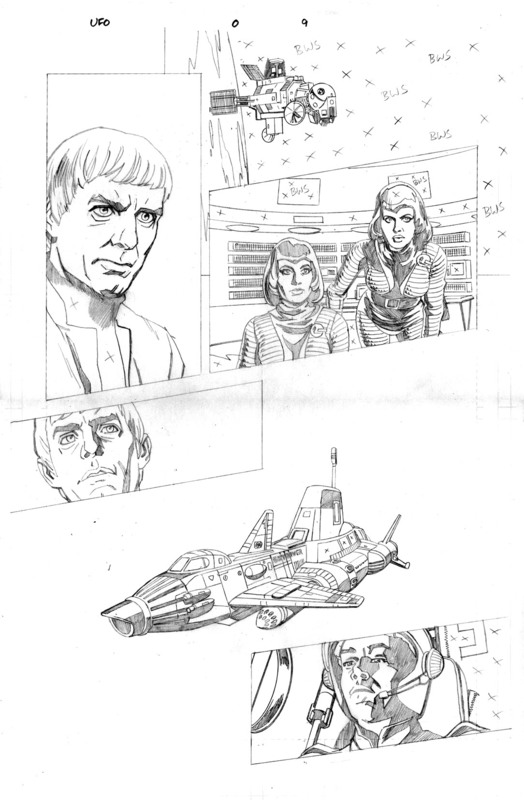 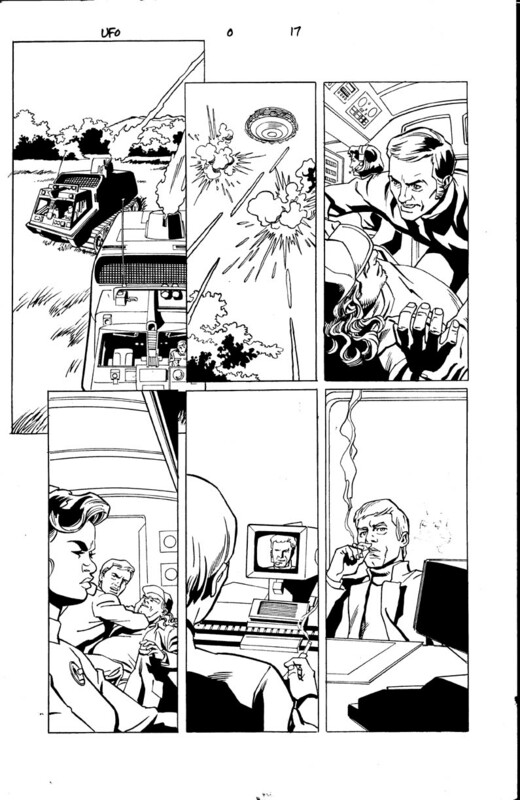 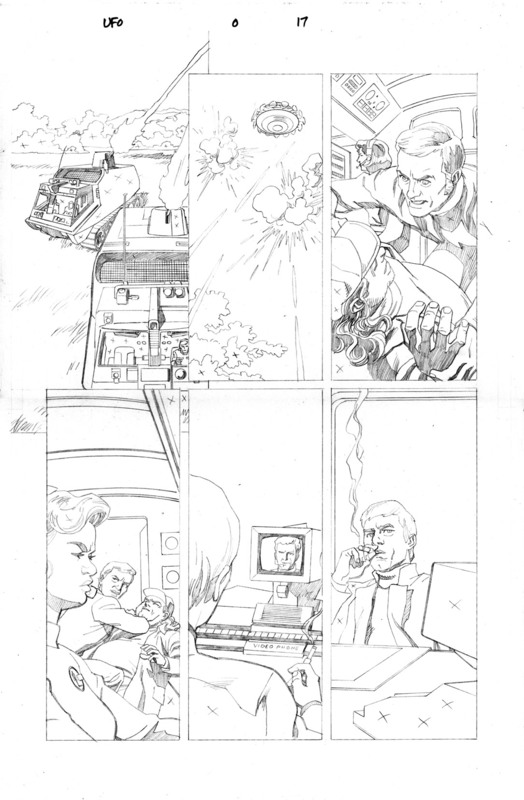 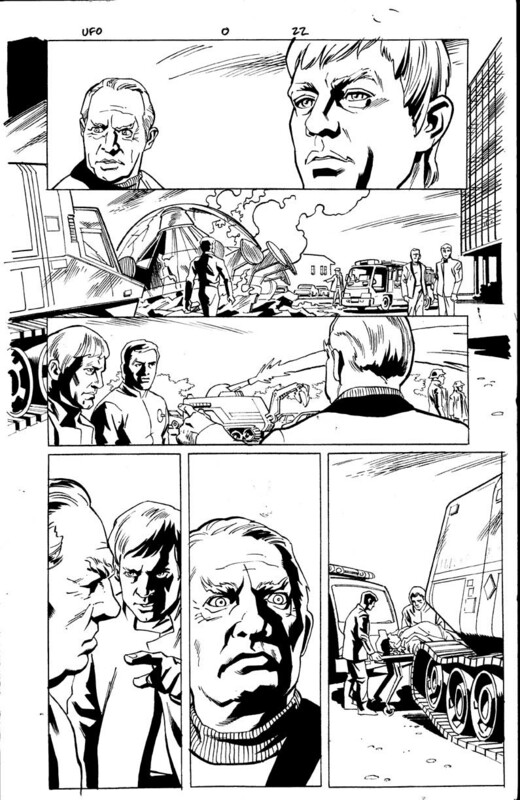 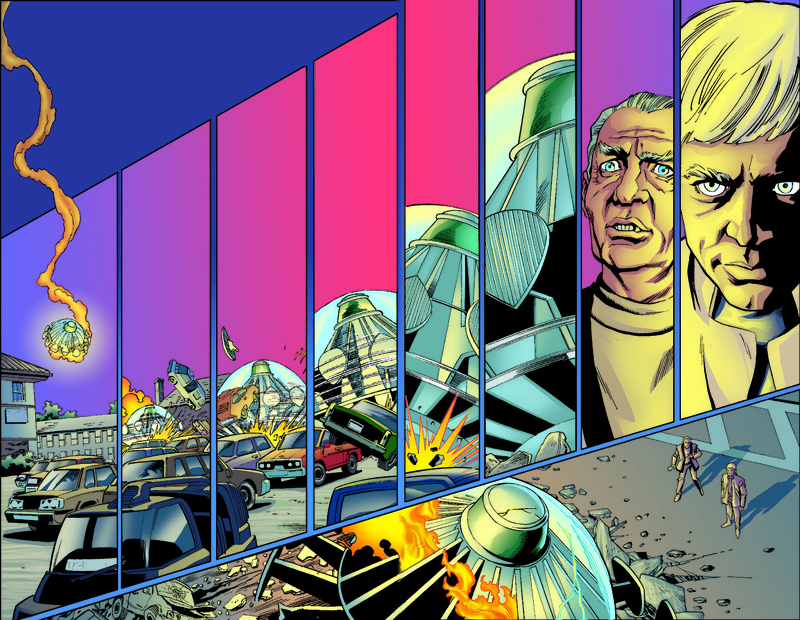 Page 8 – Commander Ed Straker and Colonel Paul Foster supervise from SHADO Headquarters. 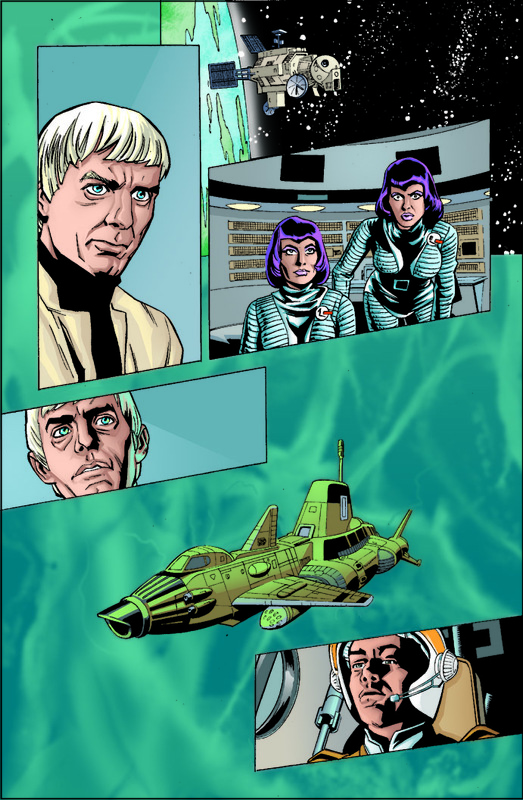 Page 9 – After conferring with the famously purple-wigged women staffers of Moonbase, Straker gives the order to launch SkyDiver! 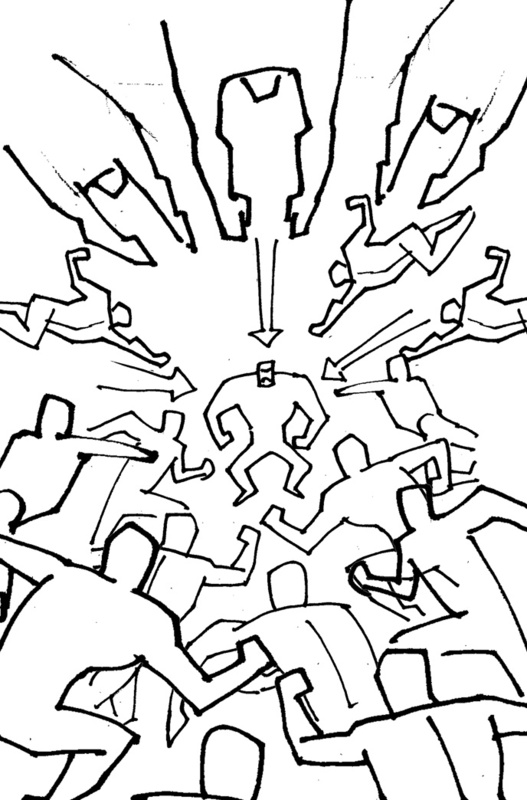 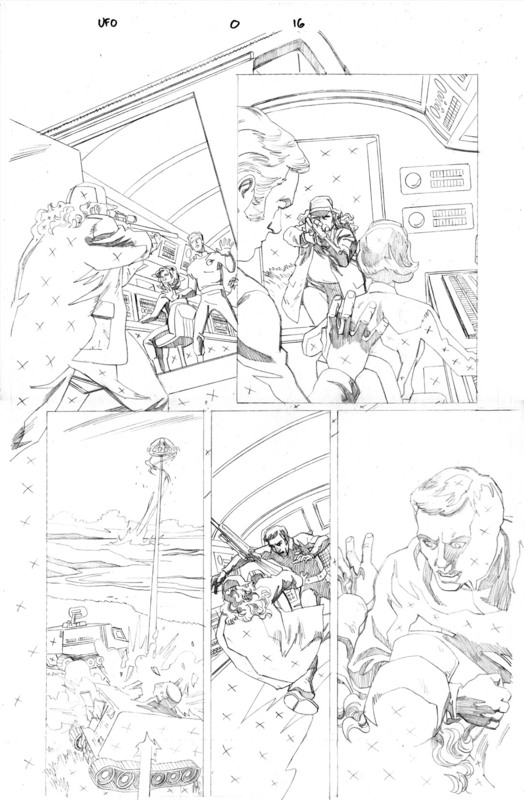 Page 10 – The Sky 1 section of SkyDiver takes to the air to challenge the UFOs entering Earth’s atmosphere. 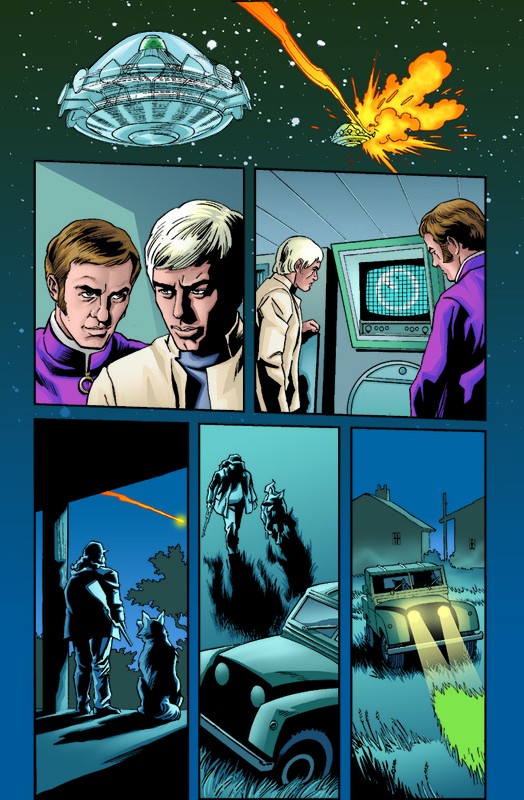 Page 11 – As Foster and Straker look on, a lone UFO makes it past SHADO’s forces to land somewhere in rural England. 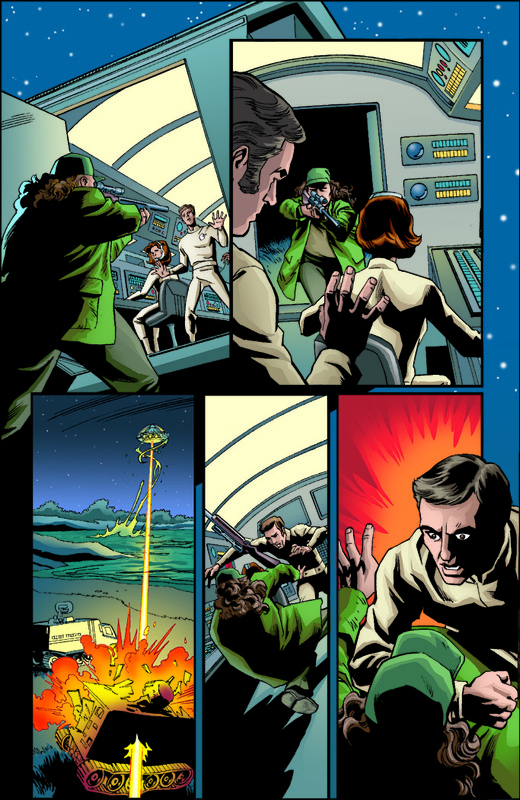 Page 12 – A UFO pilot kills a hunters dog… and pays the price! 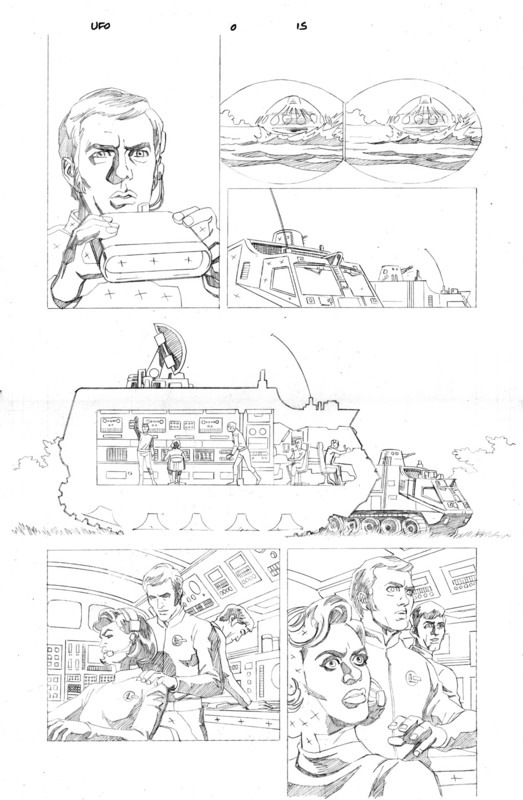 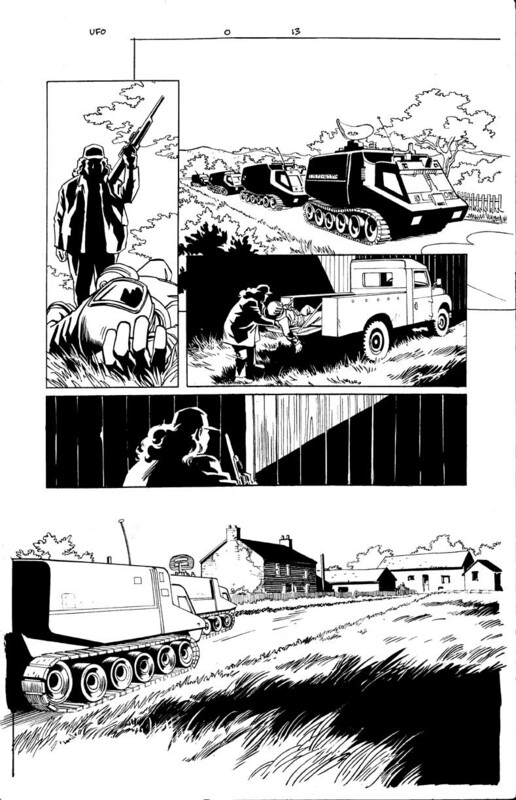 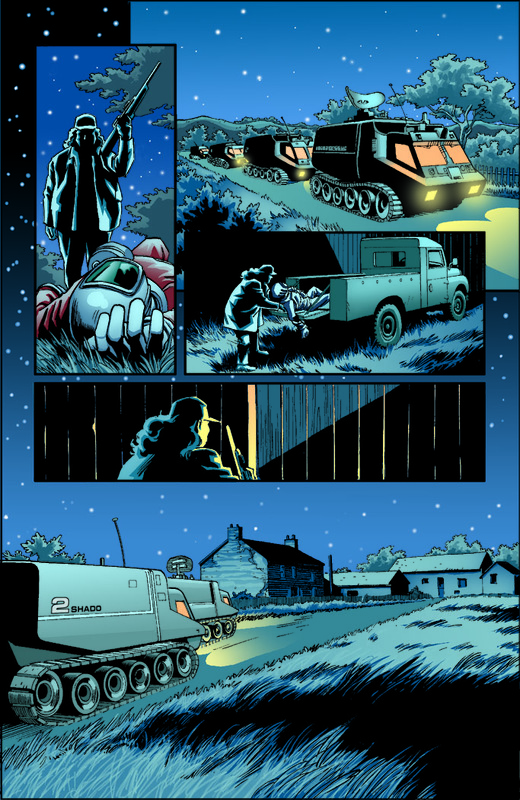 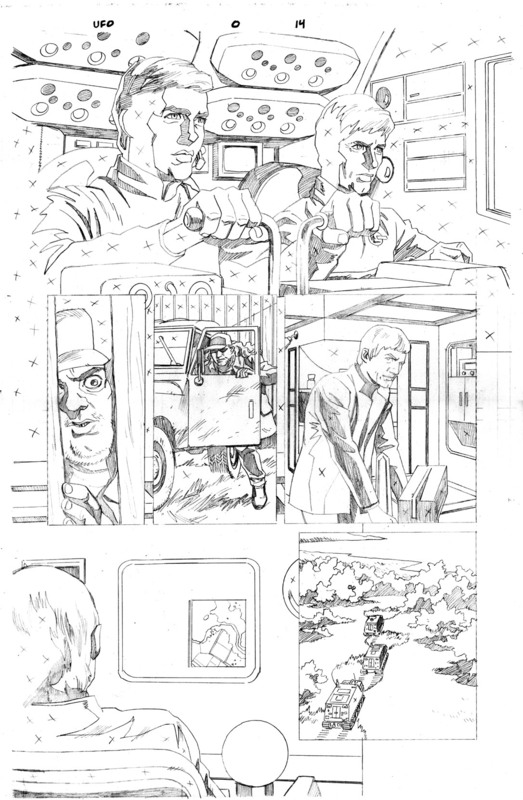 Page 13 – As the hunter loads the UFO pilot onto his truck, SHADO Mobiles arrive on the scene! 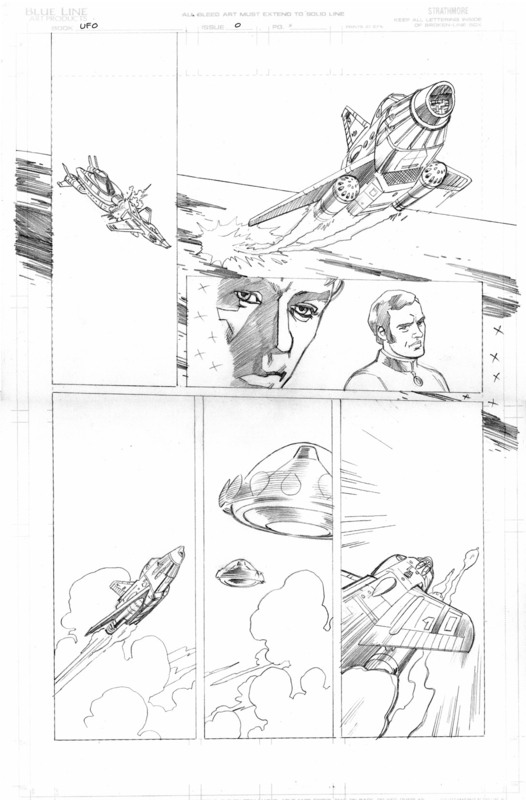 Page 14 – The hunter is as alarmed by the arrival of SHADO as he was by the alien ship! 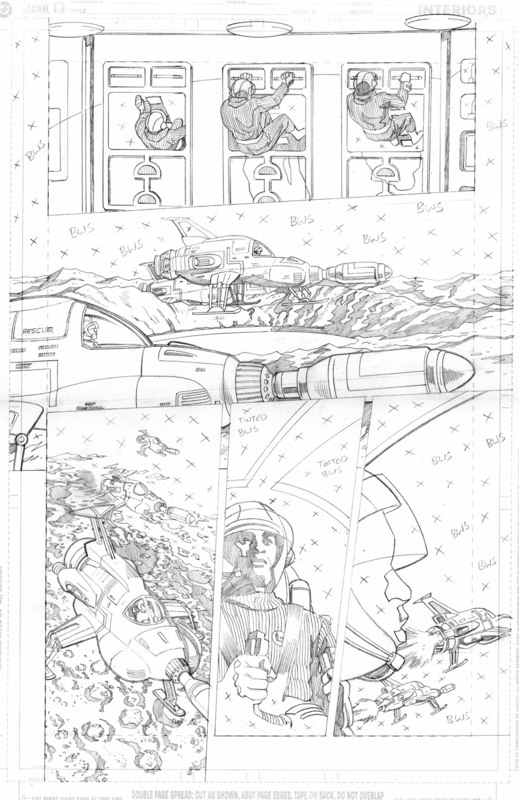 Page 15 – I tried to create a cutaway view of the interior of a SHADO Mobile – which was challenging given that the interior set fits rather uncomfortably into the shape of the exterior model! 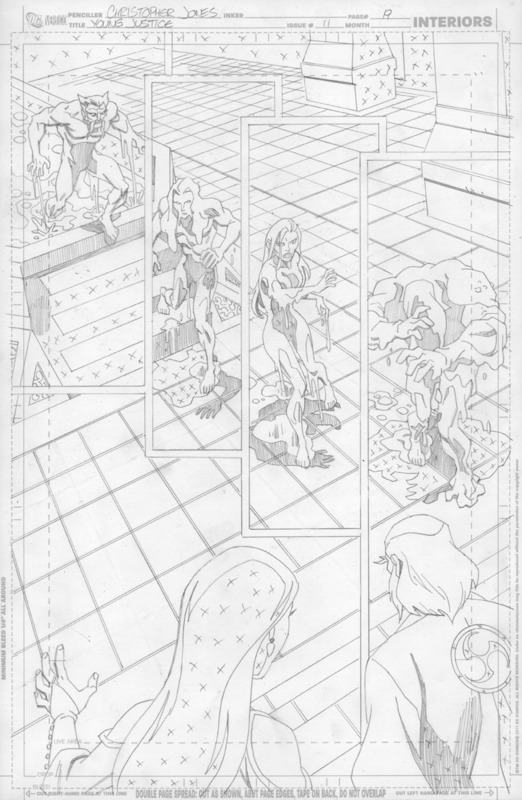 Part 3 of this post with pages 16-24 is here. 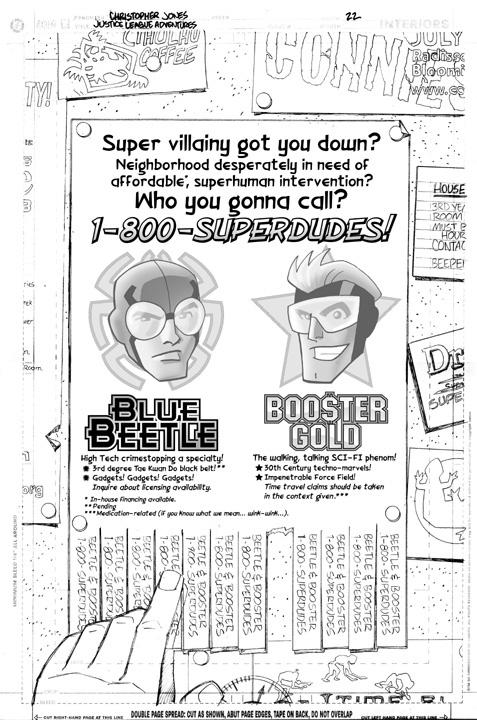 Talking about Beetle and Booster! 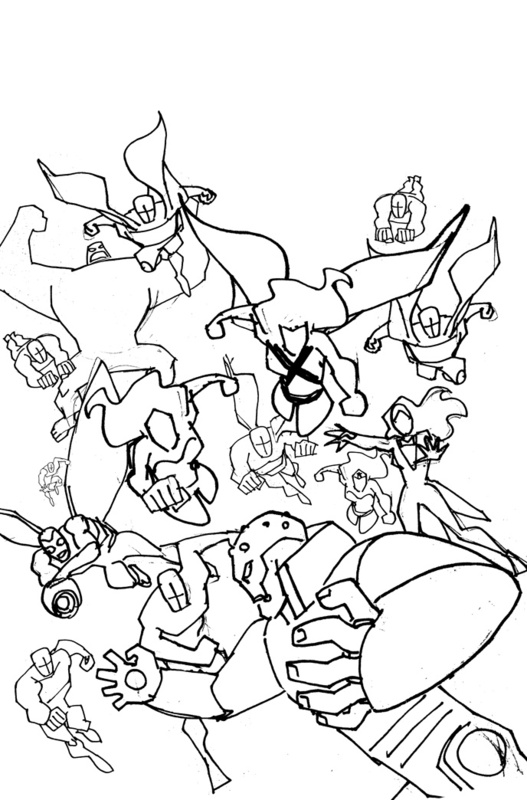 The folks at the Boosteriffic! 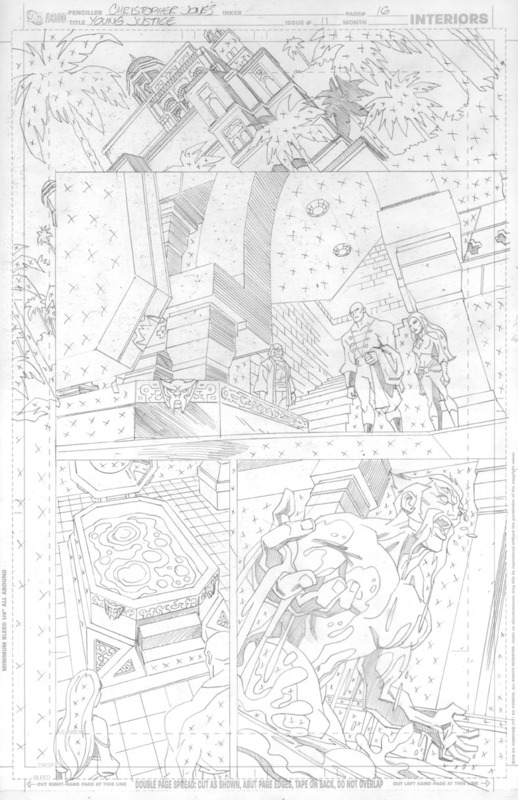 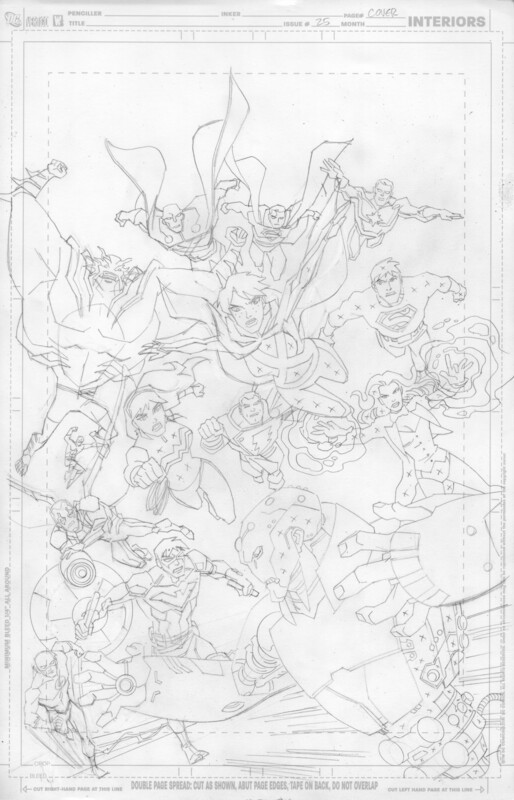 Blog (a Booster Gold fan site) reached out to me recently for some comments on my work on Justice League Unlimited #43 which featured both Booster Gold and Blue Beetle, and had a long and twisted path to publication. 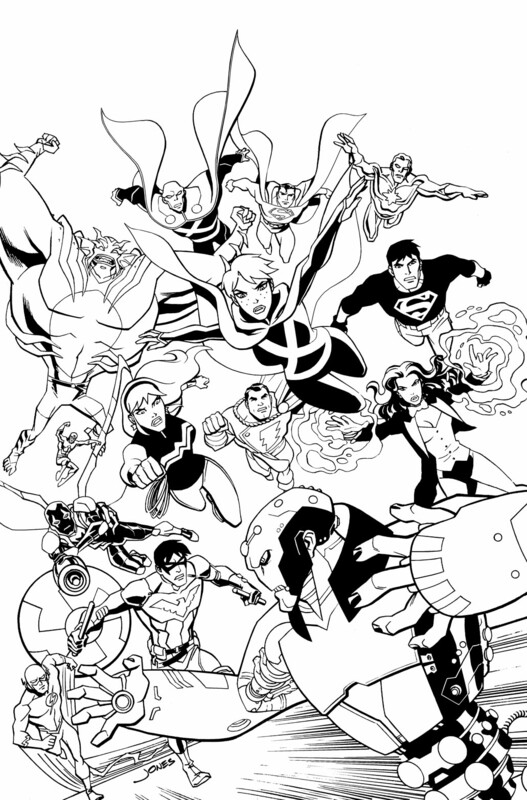 You can find my original blog post on the issue and the story behind it here. 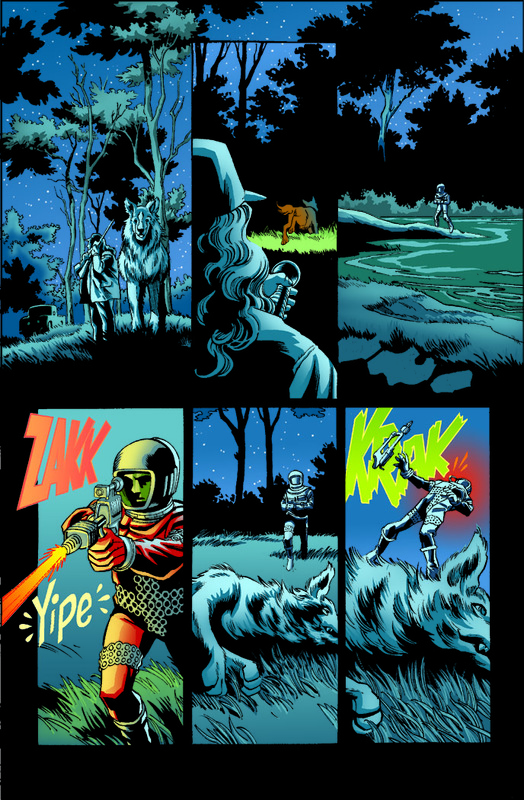 Misc Comics | Christopher Jones | January 15, 2012 12:02 pm | Comments Off on Talking about Beetle and Booster!